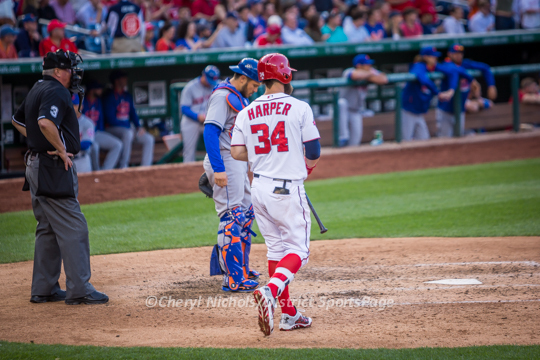 It is a brand new season and the Nationals are the favorite to win the World Series! Which songs have the Washington Nationals players have selected as their batting music? Keeping a list of batting songs used to be a simple task since most players used only song for each at bat, all season long. Now, many players use 3-4 songs in each game and change them many times over the season. District Sports Page will do its best to keep up with the list of songs, however, invite fans to help us out. Please feel free to comment on this post or tweet to @cnichols14 when you hear a new song. DSP really can’t do this without you since we now live in Idaho and only make it to a few home games a year. In case you missed previous season’s song choices, you can check out the 2012 walk-up music, 2013 walk-up music and 2014 walk-up music. A few of the songs from last year were still being used at spring training 2015, however, we’ll wait until they are officially used during the season to add to list. Fans love walk-up music. It is always a popular topic on Twitter, Facebook and discussion boards. Some players select music that gets them fired up, suits them perfectly or even pokes fun of themselves (i.e. Matt Stairs two years using Toby Keith’s “As Good As I Once Was“). It can be a small window into the player’s personality. There are superstitious players that change their music when they are slumping at the plate. And some have a handful of songs that are used in rotation. Former National Michael Morse (now with the Miami Marlins), had the team’s most eclectic taste in his walk-up music, thanks in part to his brother helping select songs. His most popular song was “Take on Me” by A-ha, which became the “fans’ Natitude anthem of 2014″ and was even used as the Nats 7th inning stretch song. The music was usually cut off before it got to the high part of the chorus, so the fans could finish it off. It started in 2010, but finally caught on towards the end of 2012 and fans voices were even heard on TV. Baseball is a game of traditions and the one song that hasn’t changed over the years is the song played when Nationals hit a homerun. It has always been, “Bustin’ Loose” by Chuck Brown (aka “Godfather of Go-Go” and DC legend who passed away in 2012). I, along with many fans around me, cheered Ryan Zimmerman’s two-run homer in the first inning of the second game of the season (April 8, 2015) and then our jaws dropped when we heard the music that was coming out of the sound system. IT WAS NOT “Bustin’ Loose.” It was “Bang Bang” by Jessie J. What? I hope that the Nats staff immediately fix that and revert back to tradition! The fans voted on this back in 2007 before moving to new park. [Nats finally played it again after Bryce Harper’s 1st HR on 5/6/2015, however, not for the 2nd or 3rd home runs that day]. All of the following songs have been confirmed through various sources including programs like Shazam, Soundhound, as well as players tweets, interviews, etc. We’ve included links to videos, however, remember that there is only a few seconds of the song used during the walk-up so it may sound different at the beginning at first. There is a lot of Natitude on the list! Please help us keep list up to date and post additional songs that we may have missed in the comments. Thank you! Enjoy! Thank you. That a was already on the posted list. I’ve been impressed with the walk-up music played when Storen takes the mound. I think it’s Johnny Cash’s, “God’s Gonna Cut You Down”, from his 2006 album, “American V: A Hundred Highways”. Thank you. I heard that too and loved it. Joe Beimel used that song and thought it was a great one. The list has been updated. Anybody know Espinosa’s new song? I’ve heard it for two games now, it’s the only one he uses but I have no idea what/who it is.